After a short stroll down Deptford’s Creekside, the sky blue T-shirts of the volunteers came into view. Past hidden industrial units, artist’s spaces and railway arches there appeared an iridescent box glimmering in the sunshine of the hottest day of the year. Rising up from behind dunes of grass potted on the banks of Deptford Creek, the RIBA-award winning Laban Building is ‘the world's largest purpose-built centre for contemporary dance’* and was the venue playing host to the ninth annual UX London. It was an event spread over three days with each day loosely focussing on a particular topic, Product; Service; Design. Each day was split in two with the morning being given to talks in the main theatre and after lunch we had opportunity to attend a workshop of our choice, in the dance studios upstairs. 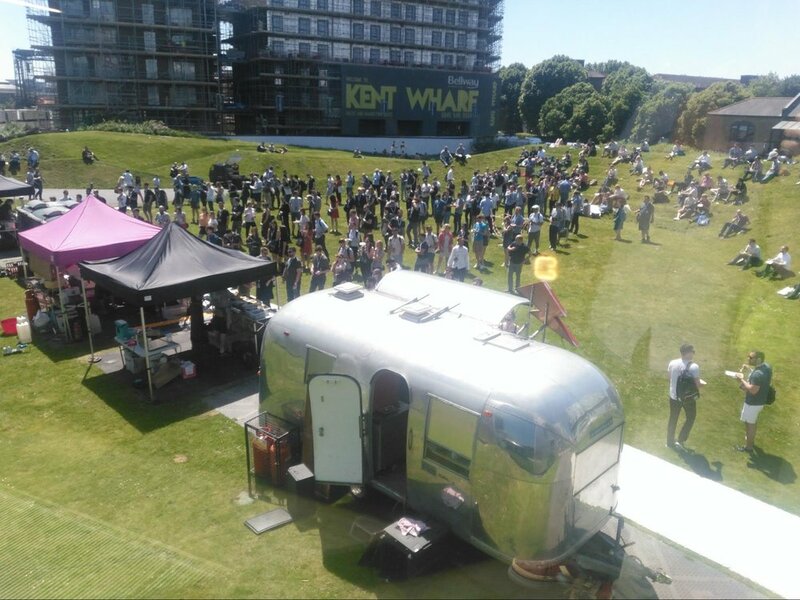 Lunch was provided by the excellent Kerb, with a daily choice from five independent food stalls serving up a feast of flavours from around the world. Samuel runs useronboard.com and is a joy to listen to. His delivery is energetic, humorous and he injects bags of personality into his work. 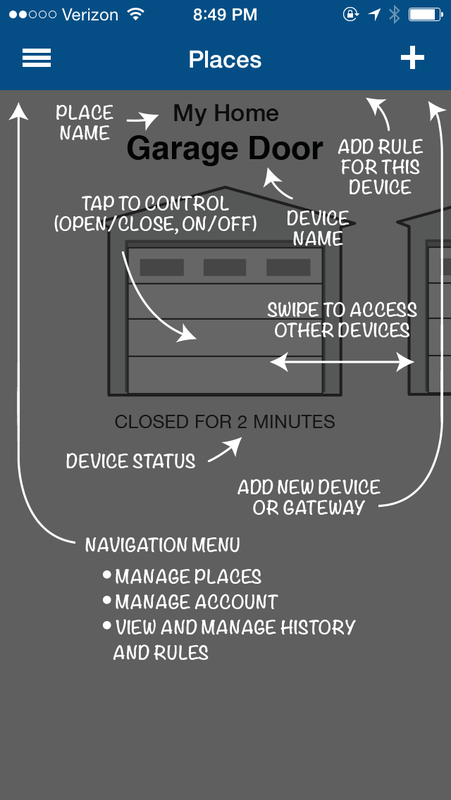 Using the example of garage door controller app he reinforces how we should avoid overcomplicated tutorial based onboarding to a more integrated approach. Only asking for information when it’s needed and asking it in a way that doesn’t jar product interaction. Super Mario Bros level 1-1 teaches a player how to play the game without them realising it. Not only how to control Mario, it also teaches the main principals of the wider gameplay like enemy and power-up behaviour and how to earn extra points. This arms the player with a much wider skillset to keep them hooked. Likening this to Slack whereby instead of filling out a form to enter their personal details, a new user interacts with the product as they would do day to day with a friend or colleague. It’s Slackbot who asks “To start, what is your first name?”, encouraging the user to enter their name into the Message input thereby interacting with the UI as they would naturally use the product. Samuel explained “People are interested in what the product can do to their lives and not the product itself”. Baking in ‘good vibes’ to a product helps give personality and momentum to the onboarding process. Being presented with a blank to-do list is off-putting to new users so once on your feed, Quora presents you with two out of the five to-do items already complete, illustrated by a tick and strikethrough. Shopify, once you have your shop set up displays an encouraging “Looks like you’re ready to launch!” with an illustration of a rocket. Both give personality and a “Driving Force” which encourages new users to get stuck into the product. Barry is one of the authors of Lean Enterprise which takes lean and agile practises and pairs them with design methodologies in order to deliver an experimental iterative approach to business systems and development. For those of us who practice a lean approach to software development it’s familiar stuff, however it was interesting to see Barry’s take on the Lean series with a business strategy angle. Explaining that culture underpins a successful business and how in general a traditional business model doesn’t work in today’s world. 57% of Fortune 500 business didn’t survive 1995 - 2015; 49% of organisations plan to grow by reducing costs and only 29% plan to grow by new products and services. Barry used the Toyota philosophy of experimentation and culture of learning every day as a way for business to be able to iterate to success. Citing an example of Toyota’s production line. Cars would move at a continuous and constant rate through an employee’s zone of work. If a problem arose and the employee failed their task by a particular point in their zone the employee would pull a cord. This cord triggered an ‘alarm’ (more of a tune than an alarm) and stopped the production line across the whole of the shop floor. The supervisor responsible for that part of the production line would come over to get an understanding of what caused the problem and worked with the employee to come up with an idea of how to avoid the the problem in the future. The experiment was noted, tested and the results observed. When asked about their offering, 80% of companies believed that they provided a superior product, whilst only 8% of their customers agreed with them. In order to address this, businesses should focus on outcomes (the whats and whys) not outputs. Business, product, user outcomes should come from the leadership layer of the organisation, the delivery of which should be by teams willing to learn with an hypothesis lead approach, making iterative decisions based on the intended outcomes. Boon took us through the principle of creating Customer Journeys. Customer (narrative) Journeys (flow) weren’t maps, as maps implied borders and these journeys shouldn’t be seen to have any restrictions. The map will clarify interactions between a company or product and their customer, it’s intention is to be integral in helping explore and clarifying interactions between that company or product. Produced in a collaborative way they help get disagreements out of the way early on in the development process. 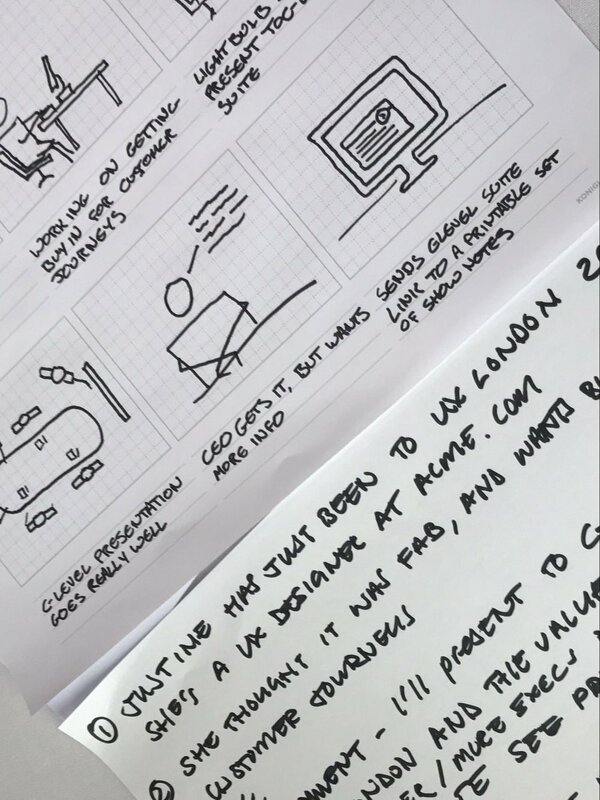 The task we were given was to make the experience better for the users of 2018.uxlondon.com than 2017.uxlondon.com. We set about thinking what kind of problems people could have encountered with this year's conference. We decided that some people could find it difficult accessing the event’s content after the conference. Using post-its and sharpies we and we came up with an idea for how this could be rectified. Then plotted the touch points onto a blank storyboard to illustrate the journey. I’ve been to more insightful workshops, with little new to learn here. It was however a good chance to get the sharpies out and do something practical with some fellow UXers to round off day 1. Read my thoughts on Day 2, Service and Day 3, Design. We’re hiring, and if you fancy joining us you will get your personal training budget to spend on (amongst other stuff) workshops, courses and conferences of your choice.